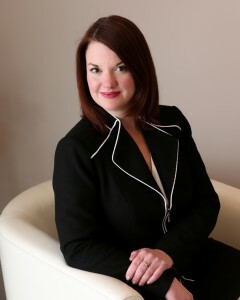 Jaclyn Zimmerman is is a partner in the Miller, Zimmerman & Evans law firm. Jaclyn has focused her legal practice on family law and appellate work since 2009. Her years of experience include work on complex and high conflict cases. Jaclyn works as a certified mediator and collaborative attorney, and as a litigator advocating client interests in the courtroom. She is also a parenting coordinator. The goal of many individuals who need a family law attorney, is to avoid the courtroom, and find solutions privately and with dignity. A collaborative, or settlement-minded approach, can often be the best approach. In cases where this is not possible, however, Jaclyn embraces her role as litigator, and strategically employs facts and Iowa law to zealously and effectively advocate for her client in the courtroom. Jaclyn has successfully litigated dozens of cases. Jaclyn’s practice is always tailored to address the unique needs of each particular client. Jaclyn’s practice is approachable; it is one that recognizes the need for connection and empathy, in addition to keen, informed, and strategic legal representation. Jaclyn successfully advocates client interests at the district court level, and on appeal. In 2016, Jaclyn’s advocacy obtained a favorable outcome for her client before the Iowa Supreme Court.